By AltSol Group Inc. © All Rights Reserved. Willamette AG is a fertilizer and agricultural chemical supplier located in the lower Oregon Willamette Valley. MicroCal is manufactured at the plant in Harrisburg, OR. In the late 1990’s Kurt Kayner the founder and owner of Willamette AG (Kurt also farms 600 acres) decided he could formulate a better calcium carbonate based sunblock. Through several years of disappointing results he finally found the current MicroCal formulation. The advantages of this formulation is the unique ability to remain in suspension for several years. If not allowed to freeze the product can be kept over from season to season. The particle size of .45 microns is also the smallest in the industry and results in improved sunblock properties as well as enhanced sprayability and coverage. MicroCal has been shown to be effective in a large variety of fruits, vegetables and nuts. MicroCal has also shown the ability to provide foliar calcium to plants and trees. Increases in crop yield and quality have convinced growers to include MicroCal in their regular spray program (MicroCal has shown no issues when mixed with other ag chemicals). MicroCal is available in 250 gallon totes and 2.5 gallon jugs. Willamette AG is actively seeking distribution in many markets both domestic and international. Contact us if you have an interest in distributing or using MicroCal. THE PREMIER FRUIT, VEGETABLE AND NUT SUNBLOCK PRODUCT ON THE MARKET. MicroCal is compatible with most other crop protection products. Thus saving trips through the field. It is recommended that a jar test be performed to assure compatibility. Sun damage can cause produce losses of between 20 and 40%. Crops protected with MicroCal provides growers with substantial increases in on farm return. Limits evaporation which can reduce irrigation needs. MicroCal is easily removed in a slightly acidic (ph 5.5) bath. MicroCal is a non-phytotoxic micronutrient solution for foliar and soil application. The calcium is highly available and absorbed by the leaves and new woody shoots, or the root system. MicroCal was developed in 1999 and is the only product to have solved the suspension challenge. It is successfully marketed in Chile (65% market share) and Washington State (75% market share). Liquid formulation is easy to store, mix & spray. Proprietary formulation with built-in stickers and spreaders, will not settle out in the spray tank and thus provides a consistent concentration of product throughout the entire tank. Can be applied by air. MicroCal provides maximum protection from harmful UV and IR light while still allowing for natural fruit coloring and photosynthesis. Submicron Particle Size of .45 micron compared to 1.5 plus for competitive CaC03 products and 1.05 for clay based products. This smaller particle size provides a much larger surface area for increased light refraction and greater protection from the sun. Less abrasive to equipment and sprays easier with no nozzle clogging. The only product that has solved the suspension challenge. MicroCal will remain in suspension much longer than the competition providing a multi year shelf life. MicroCal is available in 250 gal totes, 2.5 and 5 gal jugs. The product weighs 14 lb/gal. Leonardini estimates he puts at lease $1,600 more per acre in the bank thanks to the application of Eclipse. Eclipse is a registered trade name of Microcal. MicroCal was developed for the USA Apple industry. The thin film sunshield (made from food grade calcium carbonate) filters out the damaging part of the sunlight spectrum, while allowing beneficial rays to reach the fruit. MicroCal does not inhibit other crop protection applications. MicroCal has the potential to economically reduce sun damage to a broad range of food crops—including but not limited to apples, pears and other pome fruit, mangos, citrus, avocadoes, tomatoes, capsicums, melons, olives, wine grapes, transplant seedlings, pineapples and nuts. Marketable tomato yield at Mildura was increased by 4kg of fruit/bush when a Parasol (MicroCal™) treated row was compared with the adjacent untreated row. Treated bushes yielded 7kg of marketable fruit and only 1kg of unmarketable fruit. Untreated bushes only yielded 3kg of marketable fruit out of a total 8kg of fruit/bush. Capsicum growers in central Queensland have used Parasol(MicroCal) to boost the yield of saleable produce by nearly 8% and to protect young seedlings. Pickers commented on the improved quality of treated fruit and packers had no problem processing the treated fruit in the packing shed. Deformation of affected leaves, Primary needles are usually normal, but secondary needles may be stunted or killed. Needles may hook at tips. Symptoms most severe in youngest foliage in the upper crown. It must be remembered that these problems are caused by an inadequate supply of calcium to the affected tissues. These deficiencies can occur even when the soil appears to have an adequate presence of calcium. Adjusting soil pH based on soil test results is basic in soil fertility. Without adequate soil pH nothing else works properly in relation to plant nutrient uptake and plant nutrition. However it should not stop at this, as soil pH alone is not always the best indicator of soil calcium levels. In many cases, with soil tests that have a pH above 6.2, a buffer pH is not performed on the soil. In the case of a crop that requires calcium for quality, total calcium availability is more important than soil pH. It is with this in mind that a trial was conducted in the summer of 2014 on the ability of conifer trees to absorb calcium when Microcal™ is applied. Results have shown that significant calcium is absorbed. MicroCal™, in a solution of 15 gal MicroCal™ to 100 gal water, was applied using a backpack sprayer. The plant species tested were 3 year old Grand and Noble Fir. On June 22, 2014 a control sample was taken then MicroCal was applied at a rate of 3 gal/acre and 7 gal/acre on separate plots. 1 month later a sample was taken and the amount of calcium in the sample was compared to the control. Trial was conducted at a Christmas Tree site owned by Holiday Tree Farms of Corvallis, Oregon. This trial confirms that MicroCal™ supplies absorbable calcium to conifer trees. This is important in preventing the above listed calcium deficient maladies. Conifer growers should strongly consider including MicroCal™ in their regular spray program. All samples heated to 1400o C to remove CaCo2 and measured for elemental composition using a Brucker x-ray flouresecnce meter. Results are indicated in % of oxides due to the lack of CO2. MicroCal is formulated with special spreading agents and dispersants, so no additional adjuvant is required. Fill tank half full of water, with agitator running, add total amount of MicroCal. Finish filling with desired amount of water. Citrus and Walnuts: Mix 6-8 gallons of MicroCal with sufficient water to make 100 gallons of spray. Apply 100-500 gallons of spray per acre. Apples, Apricots, Cherries, Nectarines, Peaches, Plums, and Prunes: To help prevent sunburn, mix 2-5 gallons of MicroCal in sufficient water to make 100 gallons of spray. Apply 100-500 gallons of spray mixture per acre. 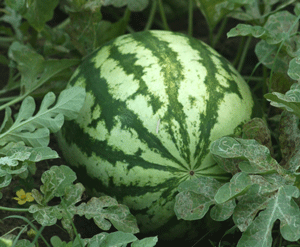 Tomatoes, Melons and Peppers: Mix 6-8 gallons of MicroCal in sufficient water to make 100 gallons of spray. Apply 80-100 gallons of spray per acre. 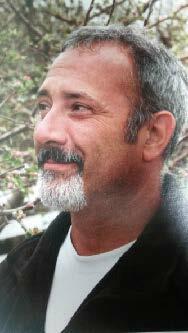 Above rates are in a manner as described by "Morshet". Use of MicroCal as a sunblock material will NOT enhance photosynthesis. To improve soil penetration, addition of penetration agents is recommended. MicroCal can be applied using drip, pivot, or flood irrigation. Soil and plant tissue testing should be performed to determine the calcium needs of each crop and soil type. For most crops 5-15 gallons per acre of MicroCal should be applied through irrigation water. Apples: Repeat application of 1.5-2 qts/acre applied from petal fall up to one month before harvest. A single application of up to 1 gl/acre may be made from petal fall to just after "June Drop". Min water rate: 30 gl/acre. Blueberries: 2 qt/acre applied 10 days after petal fall has finished. Bushes being grown for a second cropping year should receive the fruiting year program again. Water rate: 100 gl/acre. Citrus: 1-2 qt/acre at 13 day interals. Cotton: 2 qt/acre at early flowering. Water rate: 3-20 gl/acre. Cranberries: 1.5 qt/acre at early bloom. Water rate: 50 gl/acre. Deciduous Nuts: 2 qt/acre 7 days after petal fall. Water rate: 50 gl/acre. Almonds: 3 pt/acre in 50-100 gallons of water. 3 applications: 1@5% bloom, 2@ full bloom, 3@ 7-10 days after petal fall. Peas: 2 qt/acre applied at the 4-6 inches stage. 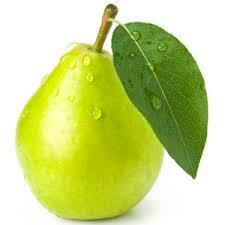 Pears: Repeat applications of 1.5-2 qt/acre at 7-10 day intervals applied from petal fall up to 1 month before harvest. 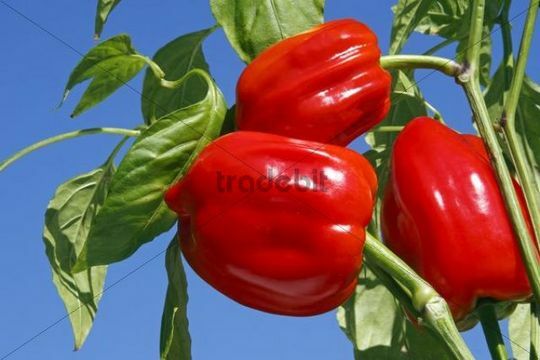 Peppers, Tomatoes (field grown): One to four applications of 2 qt/acre from flowering on second truss onwards up to one month before harvest. Stone Fruit: Two applications of 2 qt/acre sprayed 6 weeks and 4 weeks before h Turf: 1.5-3 fl oz/ 1,000 sq ft. Apply as soon as growth commences in the spring and repeat at 10-14 day intervals as necessary. Vines (Grapes): Three applications of 2 qt/acre at bunch closure; start of ripening; and two weeks later. Water rate: 20 gl/acre. Prior to any fertilizer or pesticide application all spray mixing and application equipment must be cleaned. Tank Mixing: Read ALL product labels carefully and adhere strictly to the instructions for use and advice regarding whether or not products should be tank mixed. Many variables, outside the control of Willamette AG, can influence the performance of tank-mixed products and therefore tank mixing products is entirely at the risk of the end- user. A limited crop area only should be treated initially when using unfamiliar tank mixes. Willamette AG makes no express warranties other than those set forth herein. The manufacturer neither makes nor intends, nor does it authorize any agent or representative, to make any other warranties, express or implied, and it expressly excludes and disclaims all implied warranties of merchantability of fitness for particular purpose, or any warranty of quality or performance.